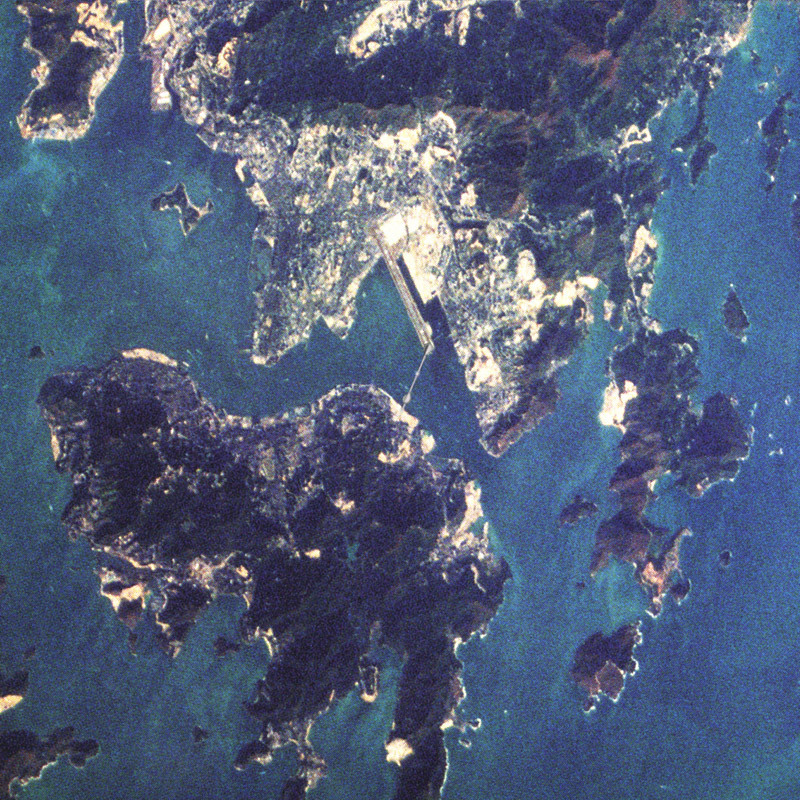 Hong Kong was re-united with China in 1997. 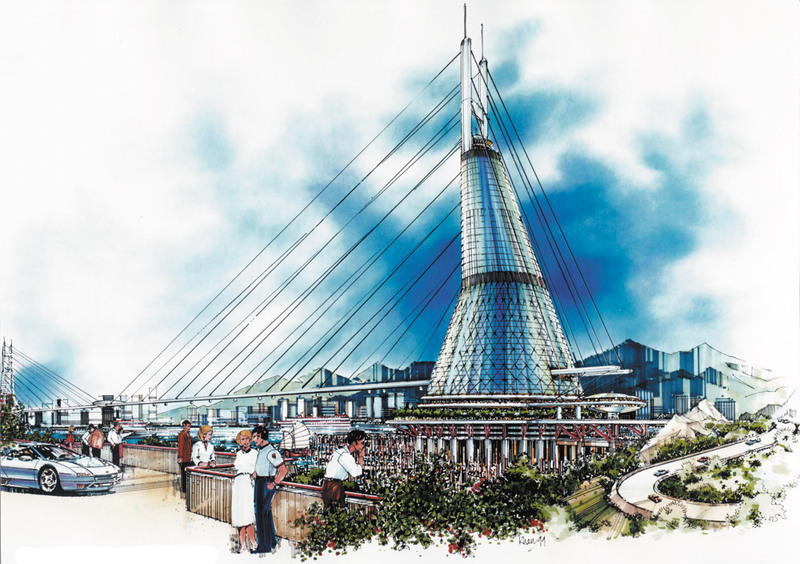 In commemoration of this historic event the Government of China wanted to create a landmark structure that would rival famous monuments around the world. 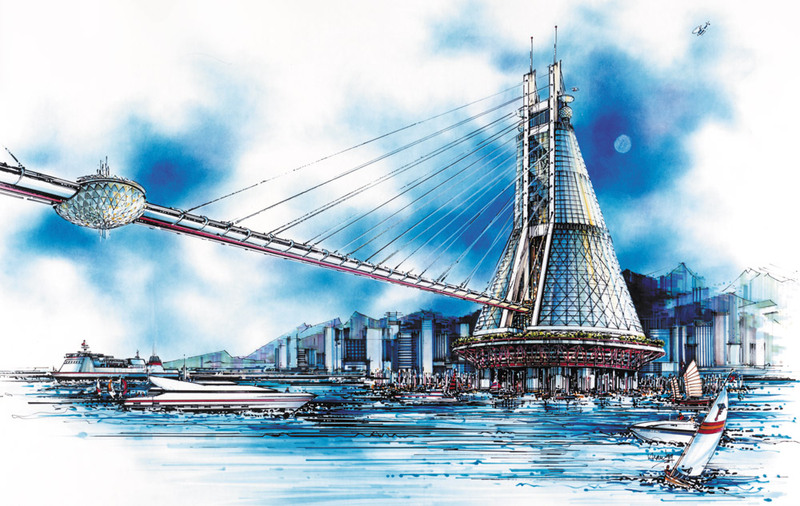 Our suggestion was the Dragon Pearl Bridge that connects Hong Kong with Kowloon on mainland China. The project represents the latest advances in structural technologies and materials creating a cable-stayed structure spanning one kilometer across Victoria Harbor. 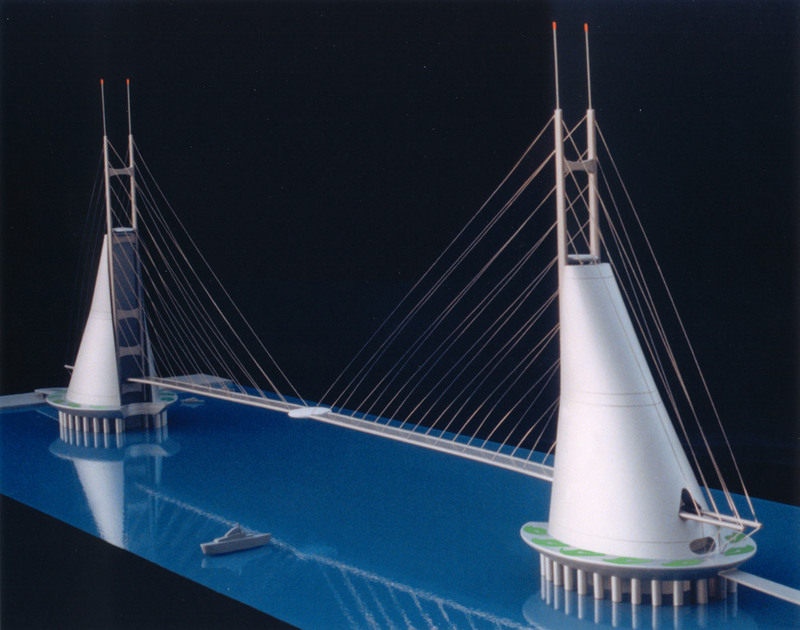 The Bridge is anchored on both ends by massive mixed-use towers which serve as the “economic engines” for the project. 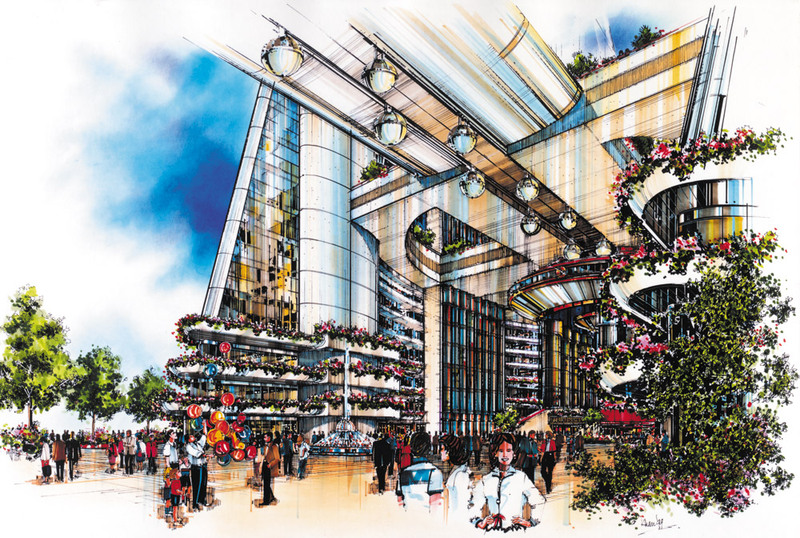 The towers are connected by a people mover suspended under the deck of the Bridge for spectacular views of the Harbor. Each tower contains a marina, parking structure, shopping center, offices and luxury apartments capped by an observation deck and heliport. 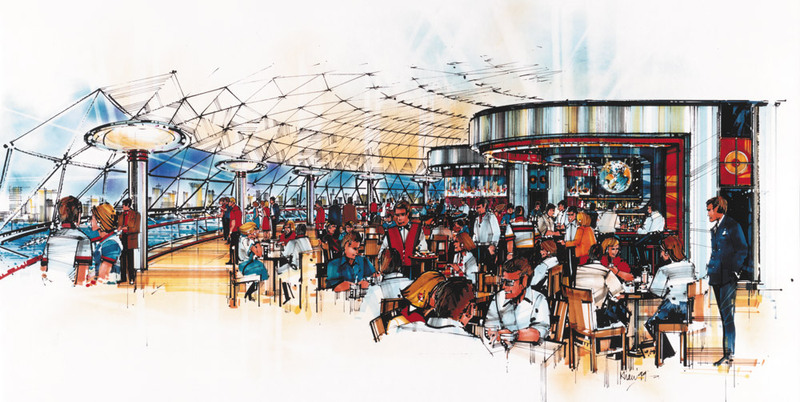 “The Pearl”, suspended in mid-span encloses a museum and a restaurant for visitors. Hong Kong currently has five underground tunnels that serve as transportation links to mainland China. Our suggestion was to provide a destination attraction for the public to enjoy the harbor views from a pedestrian bridge. No structures are permitted in the water to maximize shipping traffic at this major port. New technologies, utilizing light weight composite structural materials can now enable us to span across Victoria Harbor. 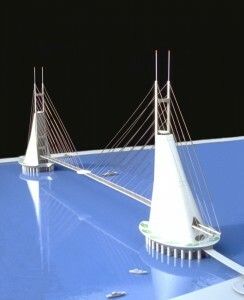 The Dragon Pearl Bridge would be a unique destination for visitors and residents to celebrate the re-unification of Hong Kong and China with this monumental physical and symbolic link. 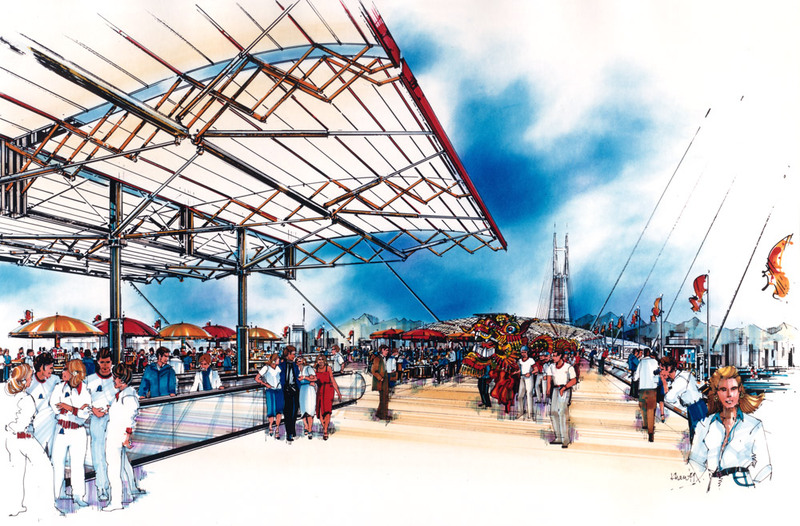 Bridge deck functions as an entertainment/recreation and retail zone. Gondolas suspended below deck transport guests between towers. 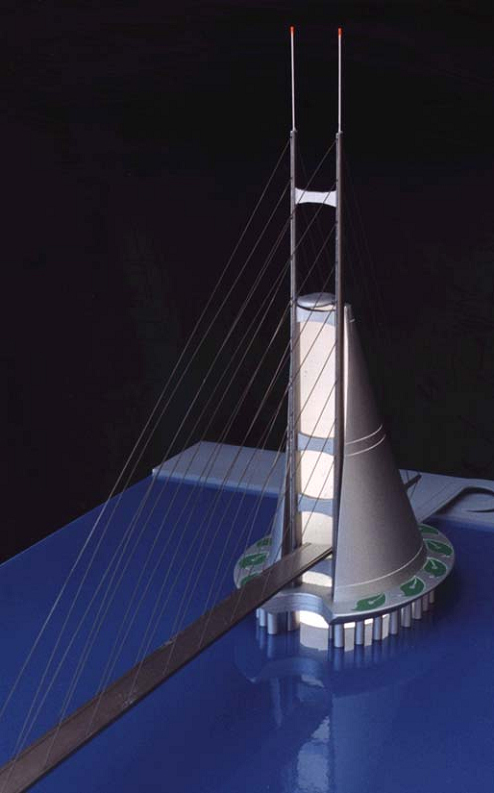 Center of bridge features an enclosed observation area with cultural and educational displays. Retractable umbrella structures provide shade. Longest cable-stayed suspension bridge. Clear span approximately 1 kilometer. Height of bridge deck above sea level approximately 70 meters. Width of bridge deck approximately 30 meters. Height of structural towers approximately 400 meters.